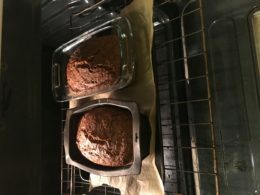 This fluffy squash/ zucchini bread recipe is made healthier with whole grains, honey (or maple syrup) and coconut oil instead of butter. It is easily made vegan and/or gluten free. Recipe yields 1 loaf.